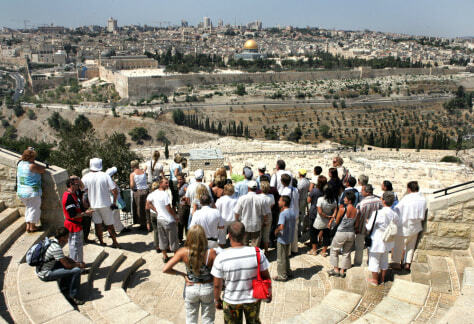 Tourists gather at a viewing point on the Mount of Olives overlooking annexed east Jerusalem. Take an escorted tour of the historic, religious, and cultural landmarks of Tel Aviv, Galilee, and Jerusalem. Budget Travel and MSBNC readers get a $100 discount.